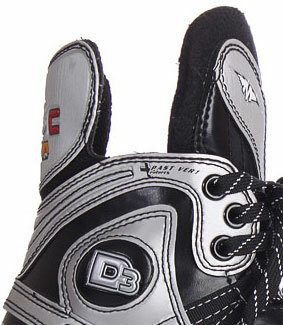 The Mission D3C is a hockey skate finest class. The Inline-built stable, but still very comfortable. Extra thick padding around the ankle. 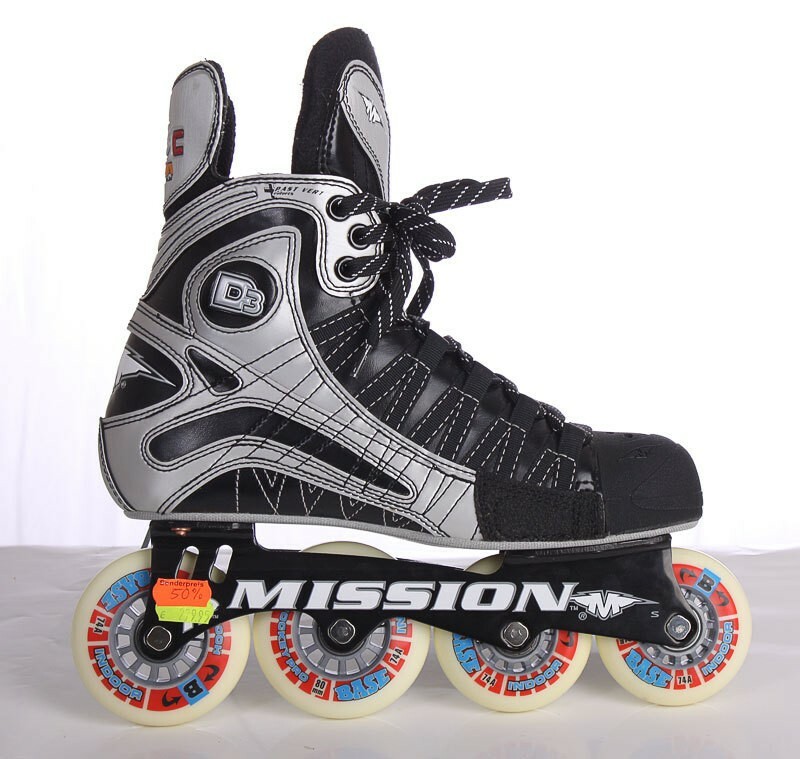 The hockey skate has a HI-LO aluminum rail with 2x and 2x 80mm rear 72mm front. The Hi-Lo system is used for maneuverability. The liner was equipped with Indoor Hockey Wheels of base with a hardness of 74 A role. Than ball bearings skate has a Abec-7 bearings.